Corporate Social Responsibility (CSR) is one of the core values and an integral part of the Company’s overall mission. By integrating CSR into our business strategy, Cyan is helping to drive shared value amongst its stakeholders and enhance its corporate brand image community wide. We are determined to ensure that our businesses operate in an ethical, sound and responsible manner. We strive to generate maximum social value to build a better, more sustainable realm for all. We take great pride in having continued our CSR efforts in 2016 through contributions for various initiatives that supported the provision of better health services, quality education and preservation of Pakistan’s culture. 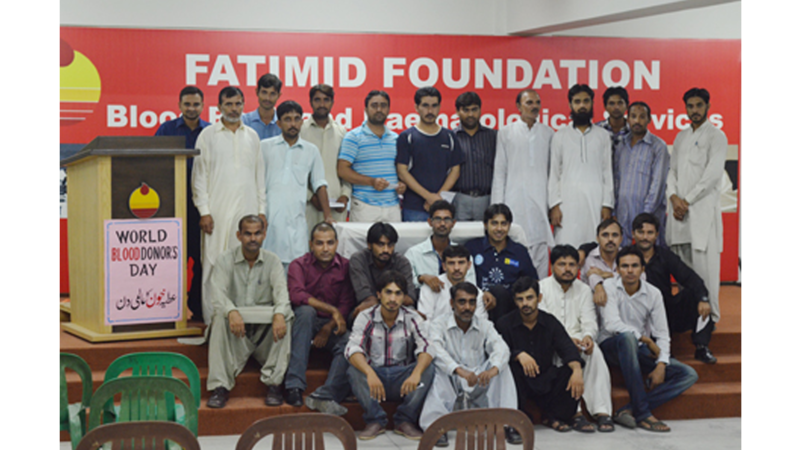 Fatimid Foundation Quetta Centre (FFQC) is the only hope for thousands of children with Thalassemia and Hemophilia who live from moment to moment. FFQC is a benchmark for all hospitals in Balochistan providing free health care facilities to these young and poor patient suffering from these incurable lifelong diseases. Cyan participated in their “Car Sticker Campaign” to support their cause. 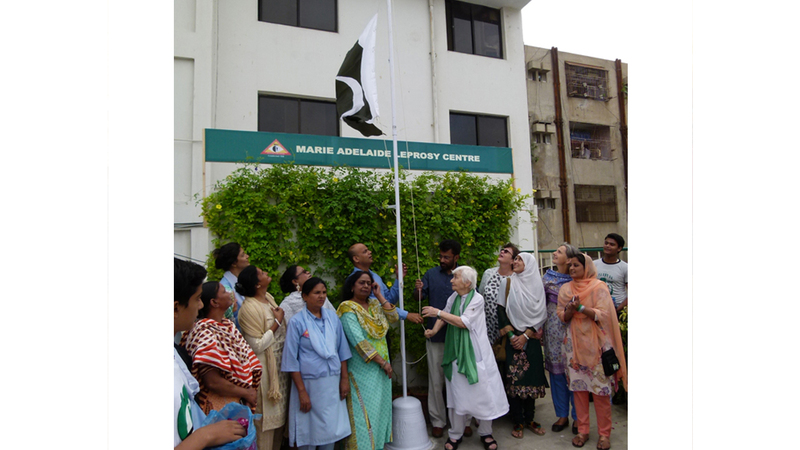 Over the last 57 years, the Marie Adelaide Leprosy Centre (MALC) has been one of Pakistan’s leading institutions in the effort to eliminate leprosy, treat TB, prevent blindness and develop sustainable communities. The MALC has also been prominent in providing timely relief and rehabilitation for the victims of natural and human disasters. In 2016, Cyan contributed in their efforts to serve humanity. The Patients’ Aid Foundation has been working since 1990 in helping the JPMC Karachi alleviate the pain of patients and provide them with premium facilities that will lead them to a healthy life. 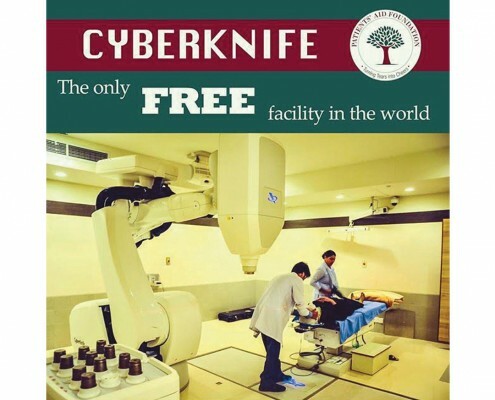 PAF has recently launched a project to install a new PET scan facility inside Pakistan’s largest Surgical & OPD Complex in Pakistan, which is under construction at the Jinnah Postgraduate Medical Centre. The efforts of the PAF will ensure that the new Surgical Complex will offer free PET scan facilities to patients in need. In 2015, Cyan contributed PKR 500,000 to help the Patients’ Aid Foundation in their effort to serve humanity. Pakistan is one of countries across the world where difficult economic conditions result in less than half of enrolled students completing primary school before they are forced to join the workforce. In addition, the quality of education at state-owned educational institutions has sharply deteriorated in the past few decades. The company recognizes education as one of the building blocks of any nation and considers it as a priority area for its CSR activities. 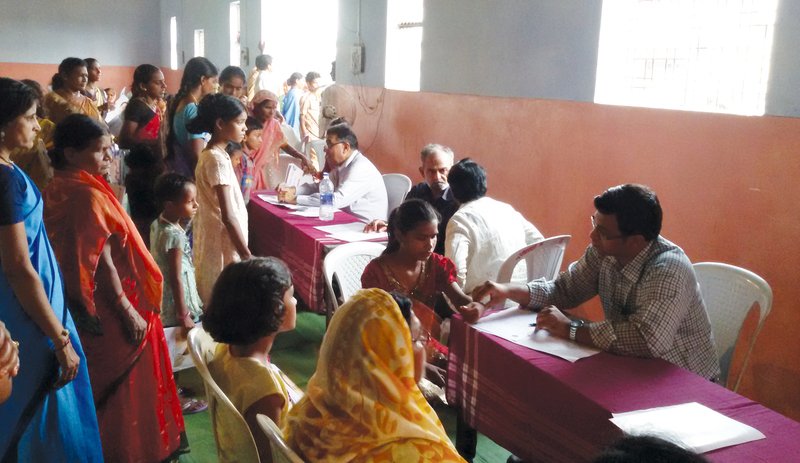 All these initiatives have been undertaken to benefit the society the company is operating in, so to contribute in increasing the literacy levels. The Trust was registered in 1950 under the Trust Act of 1982. 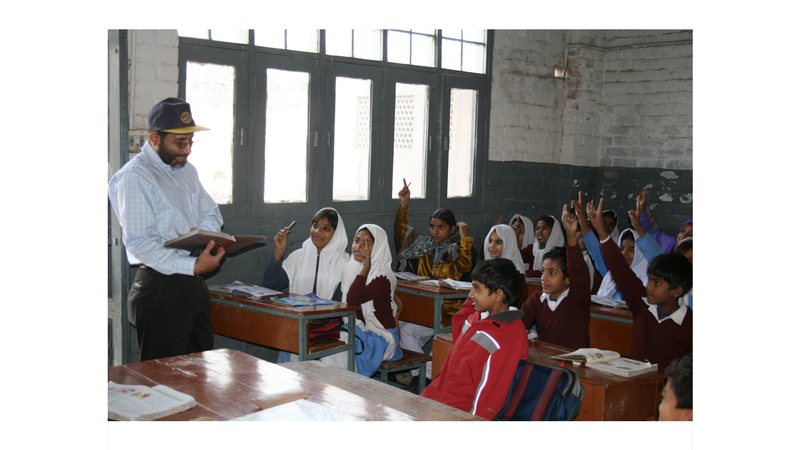 The School which started off in 1949 with 2 rooms in the Wazir Ali Home, led over a period of 65 years to the establishment of 5 purpose built campuses located in Saddar, Malir, Korangi, Super Highway and North Karachi that provide education to thousands of underprivileged boys and girls from low income families. The Education Trust Nasra School currently enrolls 10,900 children providing education from pre-primary to Higher Secondary levels in a healthy co-educated environment. The Trust provides scholarships to 20% of deserving students and also has a commitment to educate orphans. This year, Cyan donated to support the Trust. The Oxford & Cambridge Society, Karachi Educational Trust (OCSKET) has been one of the leading proponents in making education accessible since the past 15 years. OCSKET currently provides bursaries and scholarships to three (3) students studying at Oxford and Cambridge, seven (7) students at IBA and nineteen (19) students at NED, with 24% of these students being women. OCSKET conducts stringent assessments to ensure that financial aid goes to the most deserving students with the highest academic merit. 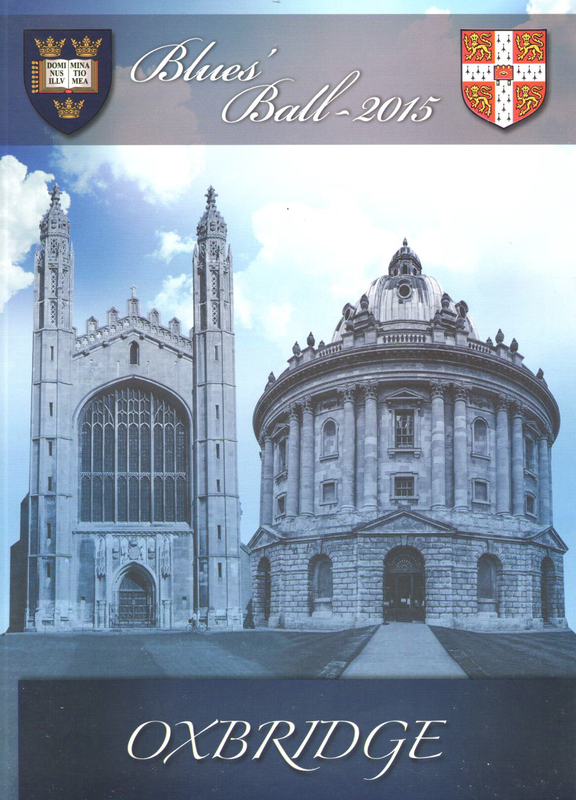 Since inception, the Trust has assisted over 100 scholars, subsidizing students at Oxford and Cambridge in collaboration with the Noon Foundation in England. Students choosing academic institutions in Pakistan are funded entirely by OCSKET. In 2015, Cyan contributed PKR 290,000 to support OCSKET’s effort to provide opportunities for Pakistani students to compete in the global arena. Culture is the art and custom that characterize a particular society or nation and so it contributes as an essential pillar of corporate social responsibility. At Cyan we believe in reviving our culture and traditions to empower our heritage and boost our national values. Our endeavors are aimed at sustaining values of society by preserving the richly diversified culture and heritage of Pakistan. In 2016, we continued our involvement in efforts to safeguard and highlight the ethos of Pakistan for future generations. The University of Karachi is the biggest university in the country. It comprises eight faculties with which all the colleges of the city are affiliated. Department of Public Administration at The University of Karachi organized a mega event on the occasion of 51st Defense Day named “A Fortress Rebuilt”, in memory of our brave soldiers who laid their lives protecting our homeland in the 1965 war against India. Cyan was one of the prominent sponsor to the mega event. 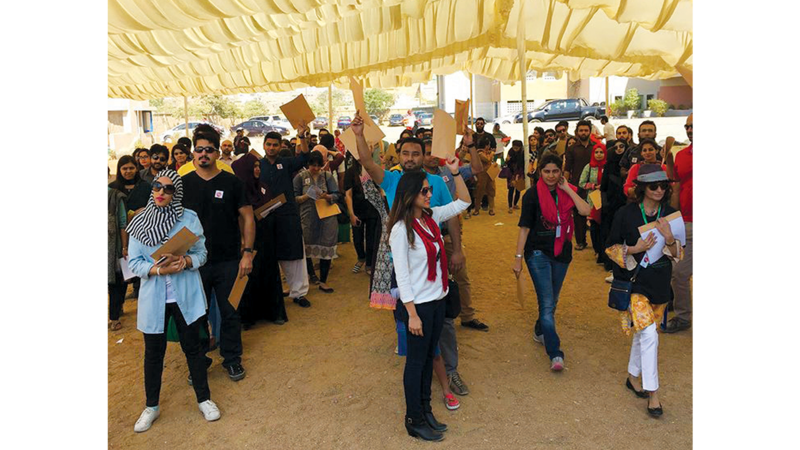 The Citizens Foundation (TCF) organized a scavenger hunt titled ‘Dhoondo Karachi’ that took participants on a tour across Karachi city with clues leading to historical sites and hidden gems. The initiative by TCF aimed at keeping the spirit of Karachi alive whilst helping people identify the rich culture and history which the city has to offer. All proceeds of the event went towards funding school uniforms for students at The Citizens Foundation schools. 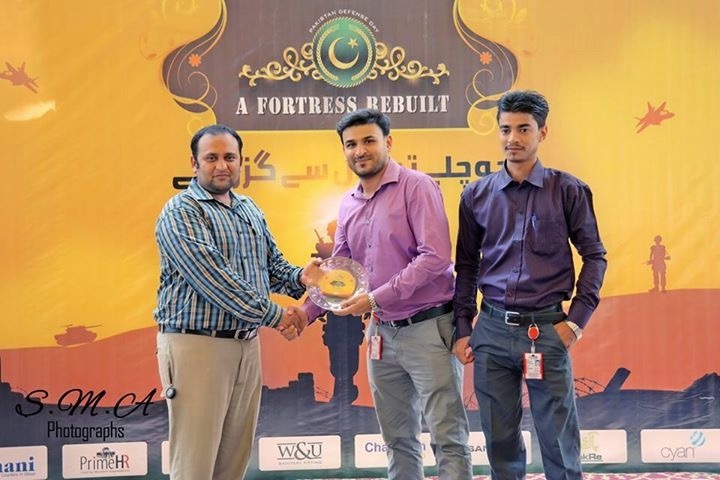 Cyan participated whole heartedly at ‘Dhoondo Karachi’ and was ranked 12th out of more than 100 participating organizations and institutions.